"Eat breakfast like a king, lunch like a prince and dinner like a pauper," nutritionist Adelle Davis said. The most important meal of the day, breakfast, has been shown to help with everything from improved concentration to weight loss. Eating a healthy breakfast is key. 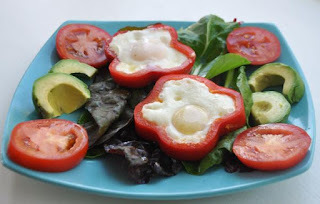 A recent study found that people who ate two eggs for breakfast reduced their waist circumference by 83% more than people who didn't have protein for breakfast (Pennington Biomedical Research Center). Breakfast has turned into a marketing competition to see which company can make the brightest colored and sweetest tasting cereal. Cereals are typically loaded with sugar, and the sad part is that these are specifically marketed to kids. Waking your kids up and giving them a sugary breakfast and then sending them off to school is setting them up for disaster. Not only will kids behave better with less sugary cereal for breakfast, but they will be able to focus and perform better in school. Most people are used to eating cereal for breakfast, so it is hard for them to imagine eating anything else. Breakfast is just another meal in the day and for years people ate breakfast the same as they would have lunch or dinner. Beef, chicken, eggs, fish, whey protein powder, turkey, venison or any other protein source you can get your hands on is a great way to start your breakfast. Skipping breakfast can not only trigger overeating later in the day but can also cause a drop in metabolism, says Dr. Wayne Callaway. This month, make it a priority to have a healthy protein for breakfast. Eggs are an easy place to start as they can be made in many different ways. 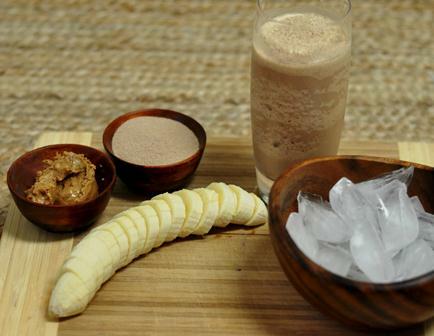 Whey protein powder is also an easy and quick way to start your day, this recipe for a Chocolate Banana Protein Shake is a favorite with both kids and adults. Click here to read other monthly health resolutions. NBC 25: Want to lose weight? Eat eggs.